There are times that I worry whenever I see my son drinks water from that blue gallon beside our refrigerator. It's a no brainer that most families nowadays buy their drinking water from water-refilling stations. We were informed that the water they are selling passed through different purifying stages but is that enough for us to feel safe? Are we really drinking clean water? If my memory serves me right, we have a water purifier installed in our kitchen some 20 years ago. I was in elementary back then but I'm not sure if our purifier really does the job in making sure that we are drinking clean water. My younger siblings got sick and most of the time they're waterborne disease. Fast forward today, I'm glad that there's Unilever Pureit- world's largest selling water purifier certified by more than 20 international laboratories across the globe. 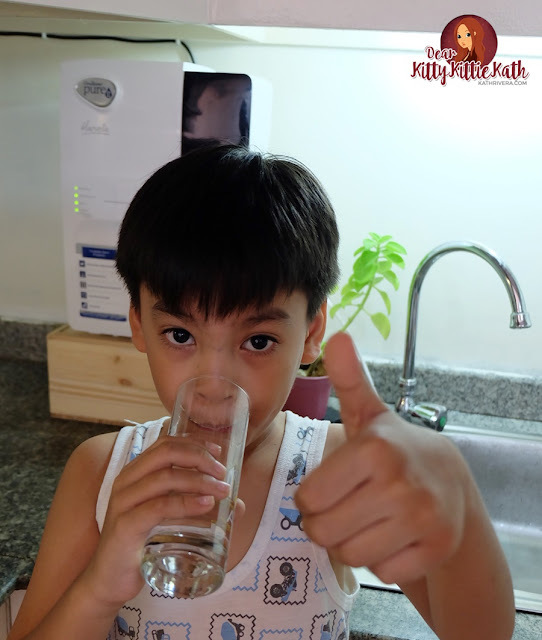 Pureit Philippines sent a Pureit Marvella UV Water Purifier for my family to try and after weeks of using it, I can say that I'm super satisfied. Check out product specifications and my thoughts below. Certified by more than 20 laboratories across the globe. It has germ kill technology. 1. Advanced alert system- alerts before the 150 liters of life left for CSF to get over. 2. HighInstensity UV Lamp- for enhanced safety. 3. 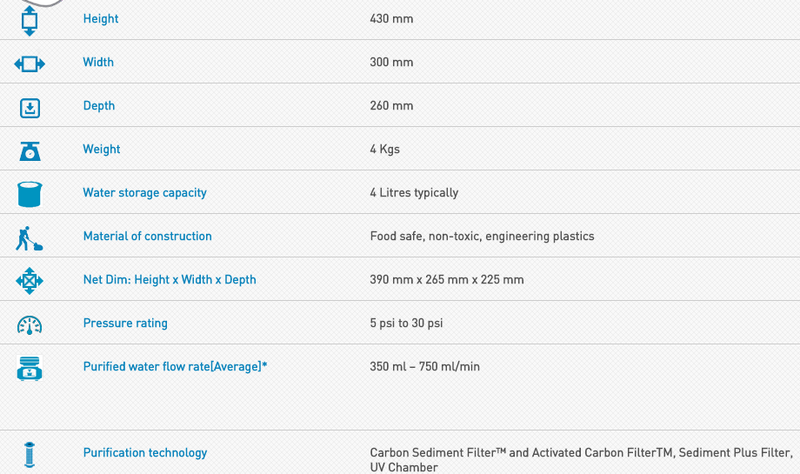 4 Litres storage capacity- ready to serve even in absence of electricity. 4. Automatic shut-off stops water flow when the UV lamp or any other critical component is not waorking. 5. Fully automatic- I like that it stores water automatically. 6. USEPA Standards on Purification- meets the criteria of Environmental Protection Agency (USA) for harmful viruses and bacterial removal. 7. Advanced Voltage Flactuation Guard- protects the water filter from sudden fluctuation. 8. 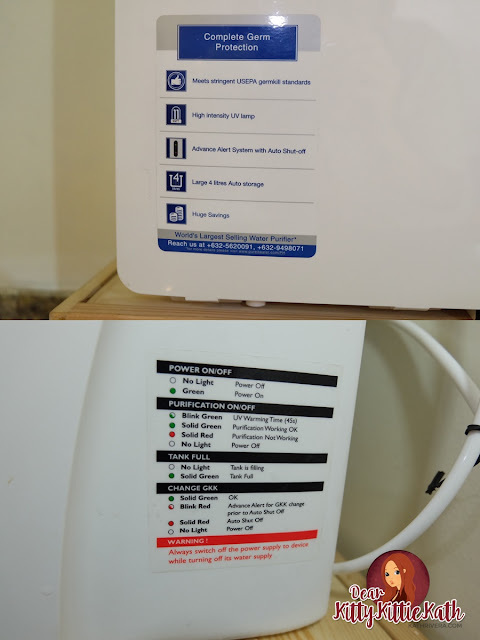 Tank full indicator- indicates when the storage tank is full. Available in Abenson, O Shopping, and select appliance stores nationwide. You may also visit their website to order your unit. 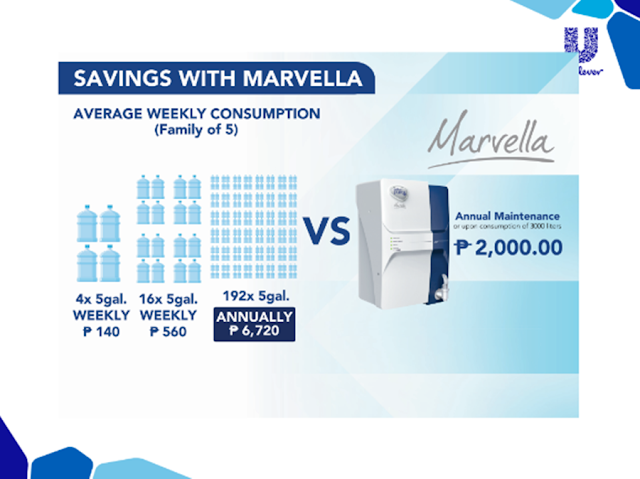 Installation of Pureit Marvella UV is easy because all you have to do is sit back and relax. A technician from the brand will install everything. You have the option on how you want it to be installed. Since we are just temporary here in our condo unit, I chose to just place the unit on top of that box. It can be wall-mounted directly or look for someone to make a brace and hang it in the kitchen wall. 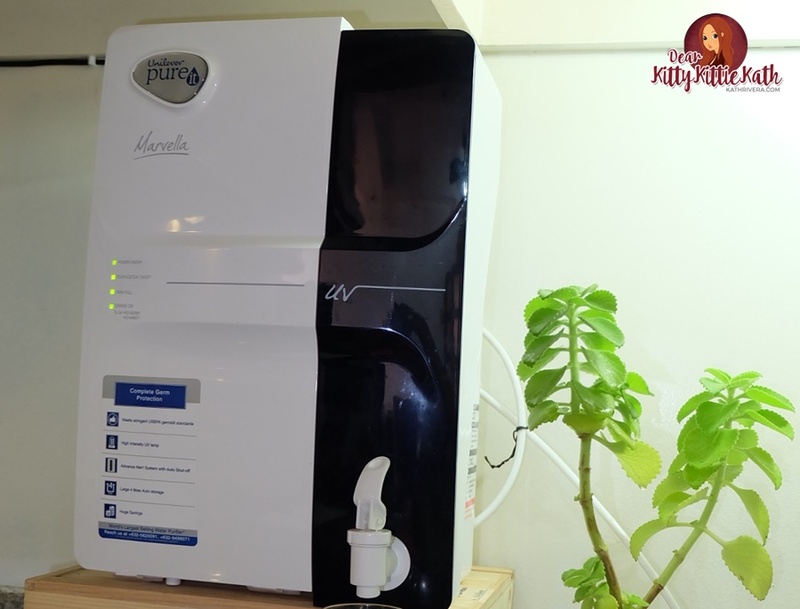 This Pureit Marvella UV was installed three weeks ago and I'm really impressed with the performance and how the water taste. It's clean and refreshing. I also like that the design is sleek and looks perfectly fine with the theme of our condo unit. The design is modern and sleek. No more unsightly gallons or water bottles in the kitchen. It doesn't take too much space in our kitchen. It's easy and effortless to use. I don't need to lift heavy water dispenser or gallons in case I need to replenish our drinking water once it runs out. Water is readily available since it comes directly from the tap. No more waiting for deliveries that sometimes takes up to more than an hour in our location. No more worrying about strangers coming inside the unit for deliveries. 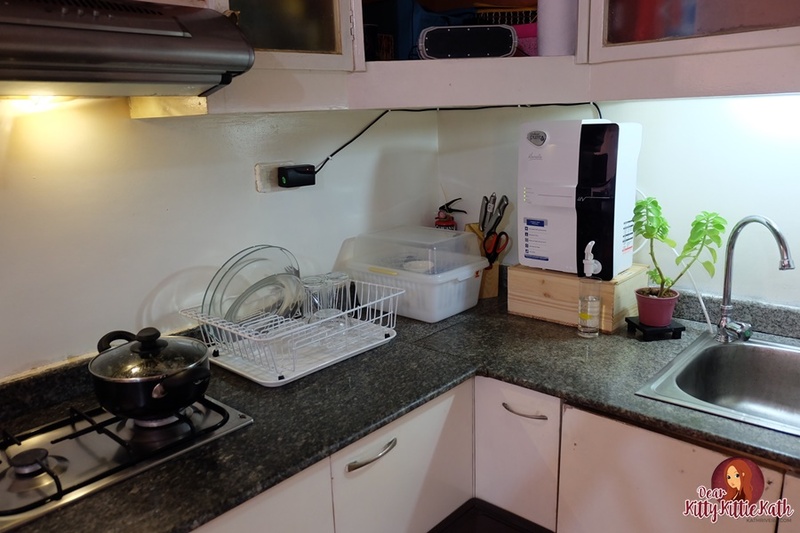 Free and hassle installation. It took about 30 minutes to install the unit since I've told the technican not to drill a hole in the wall and just let it sit in that box. The service team also updates me every now and then politely about the installation schedule. I'm surprised that my water bill doesn't ballooned. I only paid the usual water bill plus a hundred pesos which I will say came from the consumption of water from the tap thru Pureit Marvella UV. The maintenance for the unit will be annually or when the maximum consumption has been reached. None so far but for those budget conscious individuals, they may take into consideration the price. I give this a 4.75/5 unit. Pureit Marvella UV is a must in every home. I think the computation above justifies the price of the unit and no amount of money can replace the health of a family member. This is a good investment since water is a necessity and drinking clean and pure water is important to avoid waterborne disease. It's sick to be sick that's why as a mom, I always make sure that my family is safe all the time. 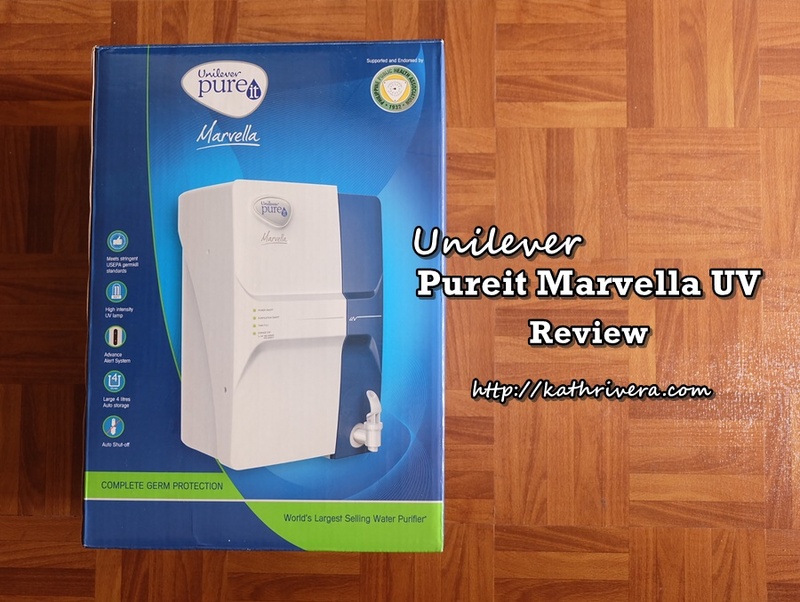 I highly recommend Pureit Marella UV because it's easy to use, the design is sleek, clean water is readily available. 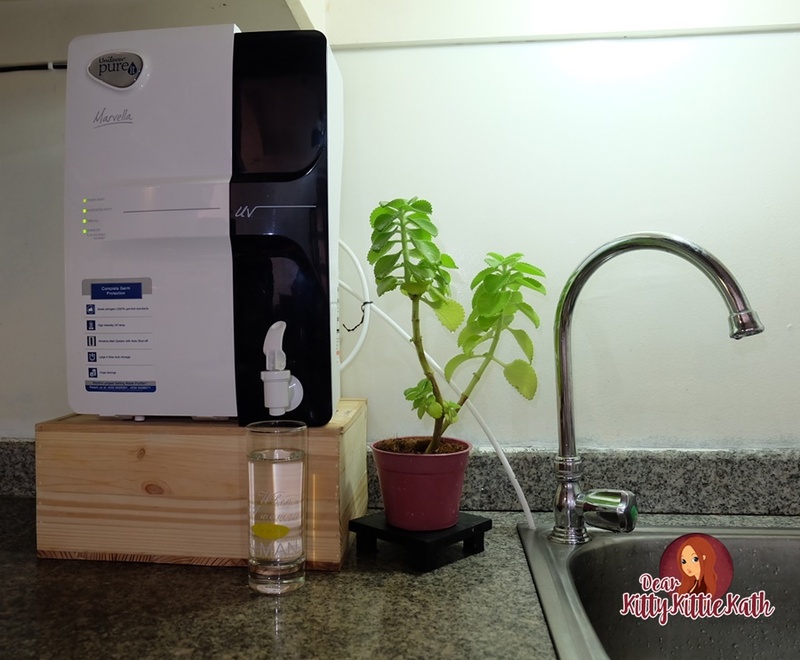 Do you have water purifier at home?